Not a good time for the Fully Loaded Team in Evansville, Indiana. 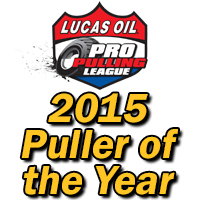 After coming off of a really big high from winning the pull the night before in Goshen, Indiana, the team was humbled very quickly from the results in Evansville, Indiana Pro Pulling League event. We headed to the track and it appeared to be a typical good track at Evansville! We had once again high intentions on performing very well!!! As we powered up and began to build boost, we started easing out the clutch and we were under way at full throttle! The tires we’re hooked up, the front end just started to lift, and BOOM! Everything came to a sudden stop. The motor leaned out and detonated and blew boost out the intake so hard it blew the front filters off and the headlight bezel on the front of the hood! So back to the shop we go after our 10th place finish. After finding a fuel line blockage, we began the repairs. Burnt piston, burnt rings and cylinder sleeve, broken rocker arm, broken rocker arm shaft and two bad valves were the total of the damages. We worked very quickly in order to get everything back together in tip top shape in order to head out for the Thursday’s NTPA pull in Monroe, Michigan!